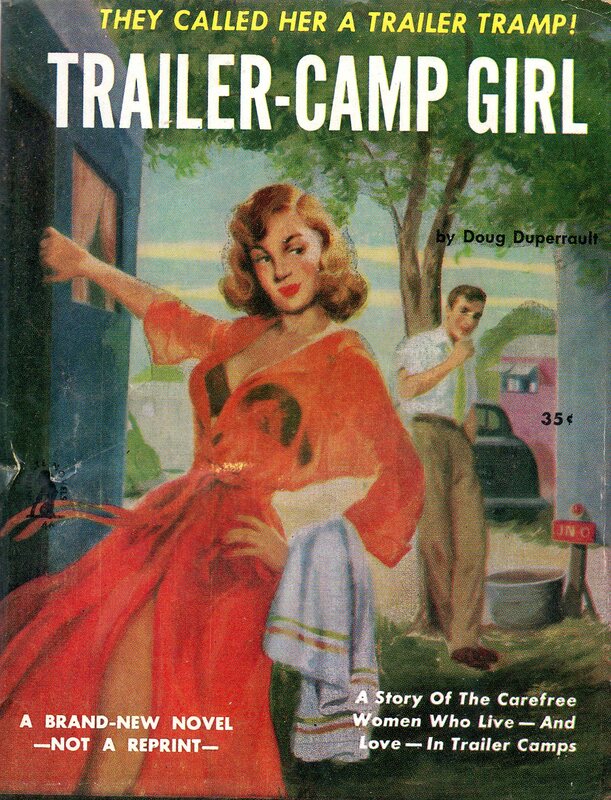 They Called Her A Trailer Tramp! A Girl In A Gilded Cage — On Wheels! Trailer Tramp, they called Anne Mitchell. Yet she was no more than the innocent victim of explosive desire, the dupe of a diabolical brute who made of her life a hell on wheels — and Anne herself, a hellcat!